Essential oils were first used for healing since the beginning of time with the ancient Egyptians and many references are made in the Bible using them for anointing, embalming, mood enhancement and to relieve negative emotions. Essential oils are rich, fragrant natural extracts from assorted trees, seeds, leaves, stems, shrubs, bushes and flowers from all over the world that are used more than ever for their potent scents. Learn how to use these highly scented extracts to affect mood, attitude and emotions with these easy to follow tips. Place 7-8 drops of Ylang Ylang, orange, lavender, clove, peppermint essential oil or any other favorite scented oil in an oil burner with a tea light candle underneath. Light the candle and allow the scent to fill the room to help create peaceful surroundings, clean the air as many essential oils have germ killing properties and help to reduce stress. Essential oils can be used in this way along with meditation and many therapy offices use this practice to help patients relax. 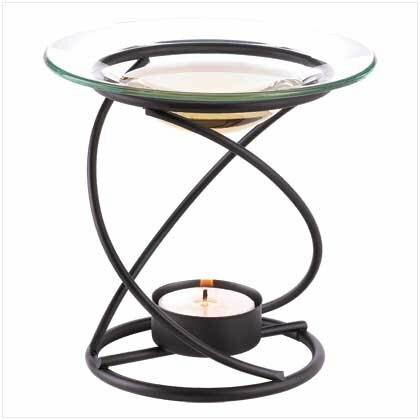 Blow the candle out as oil evaporates or add more always keeping an eye on it for safety. Add a few drops of lavender or any other favorite scent to a spray bottle filled with distilled water. Lightly spray linens an hour before bed to assist with problems from insomnia, headaches and to reduce stress from an overworked day. Carry a bottle of orange essentials with you in your purse or briefcase, remove lid and smell for a few seconds as needed throughout the day to gain the benefit of aromatherapy. The sweet scent of orange, lemon or lime will help to remind you of the sunshine, citrus trees and will help to uplift mood. You know you're smiling already just thinking about doing this! Use 4-5 drops of lavender pure essentials or rose in the bath (agitate water and oil before entering bathtub) any time to reduce tension, relieve insomnia, stress and anxiety. Soak for at least 10 minutes for the most benefit and feeling of overall well being. The scent is relaxing and will help to soothe and soften dry itchy skin. Keep an aromatherapy body massage oil on hand in any favorite scent such as orange, lavender, ylang ylang or other. Ask your partner to use it for a back massage and then also return the favor! Not only will any sore muscles be relieved, but the skin will be more moisturized while tension, insomnia and headaches will be much improved. Use a daily aromatherapy body lotion with natural antioxidants on arms, legs and midsection. This will rehydrate dry, rough, flaky skin as well as protect the skin from the damaging effects of the environment. The better you look and feel, a more improved and happy attitude will follow. Adding a few drops of your favorite essentials to distilled water can help you to eliminate chemicals in your household since the oils have antiseptic and anti fungal properties. Your home can be cleaner and smell better without the use of harmful chemicals. Aromatherapy oils and lotions are best suited for the body and not the face. Many people have been able to stop smoking by inhaling pure aromatherapy when they want a cigarette and it could help you to cut down or quit too. Never leave an unattended candle burning which could cause a fire. Refrain from using any aromatherapy oils or lotions containing chemicals, look for pure aromatherapy oils for the best benefits. Store your scented extracts in containers in a temperate, dry place. Aromatherapy is not a substitute for medical attention, if needed for pain, anxiety or persistent insomnia consult a medical professional. 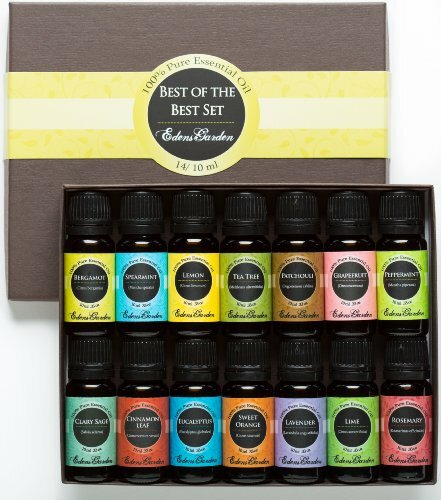 Get started using more essentials with aromatherapy in this set of 14 bottles that will last a really long time. Share them with your loved ones to help them in daily life too. Nice gift for Mom, sister or your best friend! I like using tea lights to heat my essential oils rather than electric. There's less danger with a tea light since once the candle burns down, it simply goes out.